The United Launch Alliance (ULA) celebrated its 75 launch milestone when their Atlas V launch vehicle successfully lofted the AEHF-3 satellite out of Cape Canaveral Wednesday morning. While its successes with payloads such as military satellites continue, the company is also a front runner in the effort of returning America’s domestic crew launch capability in the second half of this decade. The company was formed at the end of 2006 as a joint venture between Lockheed Martin and Boeing. The merger consolidated all production and engineering capability into their bases in Decatur, Alabama and Littleton, Colorado. With a prime role in providing military launch services under agreements such as the Evolved Expendable Launch Vehicle (EELV) contract, ULA have lofted spacecraft ranging from military spacecraft such as the X-37B, through to highly secretive spy satellites. ULA’s first launch occurred two weeks after the company was formed, with a Delta II undertaking the NROL-21 mission to orbit USA-193 for the United States National Reconnaissance Office on 14 December 2006. Despite being placed into orbit successfully the spacecraft failed immediately after launch. On 21 February 2008, shortly before it was expected to reenter, USA-193 was destroyed by a RIM-161 Standard Missile 3 (SM-3) launched from the USS Lake Eire in the Pacific Ocean. The test, which came thirteen months after China had tested an antisatellite weapon, was claimed to be in an effort to ensure that the satellite’s hydrazine propellant would burn up in the atmosphere and not cause contamination should the spacecraft have reentered over land. The payload of ULA’s second launch fared better. On 17 February 2007, a Delta II was used to deploy NASA’s THEMIS mission. Consisting of five spacecraft in highly elliptical orbits, THEMIS studied the interaction of the solar wind with the Earth’s magnetosphere. Two THEMIS spacecraft have since been placed into orbit around the moon, for an extended mission named ARTEMIS. The first Atlas launch to be conducted by United Launch Alliance occurred in March 2007, with an Atlas V 401 carrying out the STP-1 mission, orbiting a collection of small research satellites. The primary spacecraft were DARPA’s Orbital Express prototypes, ASTRO and NEXTSAT, which demonstrated on-orbit docking and servicing. The rocket also deployed the STPSat-1, CFESAT, MidSTAR-1 and FalconSAT-3 research satellites for various parts of the US military. Although ULA does not offer commercial launch services, Boeing and Lockheed Martin subcontract commercial Delta II and Atlas V launches to the organisation. The first commercial mission came in June 2007, with a Delta II lofting COSMO-SkyMed 1 for the Italian Ministry of Defence. A week later an Atlas V lifted off with ULA’s first payload for the National Reconnaissance Office, NROL-30. A faulty valve caused the Centaur to leak oxidiser during its coast phase, and as a result the stage’s second burn ended prematurely, leaving the satellites, a pair of Intruder (NOSS) signals intelligence satellites, in a lower than planned orbit. The spacecraft were still useable, and could correct their own orbit. 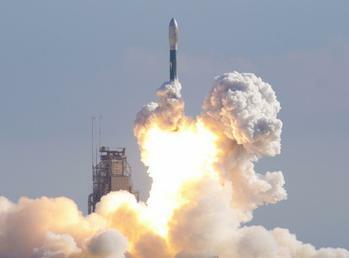 In the summer of 2007, two Delta II launches carried ULA’s first interplanetary spacecraft. The Dawn mission to minor planets Ceres and Vesta was initially scheduled for June; however it slipped to September, behind the August launch of the Phoenix probe to Mars. Between the two planetary launches, another commercial Delta II launch from Vandenberg saw DigitalGlobe’s WorldView-1 satellite successfully inserted into low Earth orbit. In October an Atlas V was used for ULA’s first launch to geostationary transfer orbit, carrying the WGS-1 communications satellite. 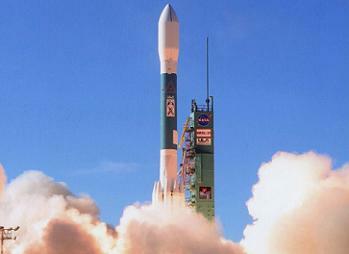 A Delta II then launched GPS IIR-17 into Medium Earth orbit, completing ULA’s tenth mission. The first Delta IV launch under United Launch Alliance was the first operational flight of the Delta IV Heavy configuration, carrying the final Defense Support Program satellite; USA-197. Launched in November 2007, the Delta IV successfully inserted its payload directly into geosynchronous orbit; however within a year the spacecraft had stopped working. Three launches in December 2007 saw COSMO-SkyMed 2 placed into low Earth orbit by a Delta II flying from Vandenberg and an NRO Quasar (SDS) communications satellite placed into molniya orbit by an Atlas V from Cape Canaveral, before a Delta II made ULA’s thirteenth and last launch of the year, orbiting another GPS satellite. By comparison, 2008 was a quieter year for ULA, with only seven launches. The first of the year was the NROL-28 mission for the National Reconnaissance Office; conducted by an Atlas V on its first launch from Vandenberg. In April ULA’s first commercial Atlas launch saw ICO G1 successfully placed into geosynchronous transfer orbit, however an anomaly with a first stage actuator kept the Atlas grounded for the rest of the year. No Delta IV launches were conducted thanks to constant delays to the NROL-26 mission scheduled to fly from Cape Canaveral, and work at Vandenberg to prepare Space Launch Complex 6 for the Delta IV Heavy. The Delta II made five launches in 2008; carrying to orbit a GPS satellite, NASA’s Fermi Space Telescope, the Jason-2 spacecraft for the NASA/CNES Ocean Surface Topology Mission, and the commercial launches of GeoEye-1 and COSMO-SkyMed 3. 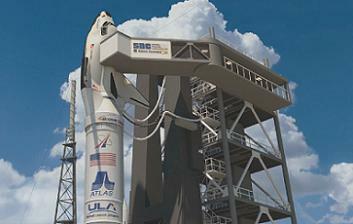 After the quiet 2008, 2009 remains ULA’s busiest year to date. Sixteen launches were conducted; eight by Delta II, five by Atlas V, and three by Delta IV. The year began with NROL-26 finally departing, three years behind schedule, atop a Delta IV Heavy. Renamed USA-202 in orbit, the spacecraft has been identified by amateur observers as an Orion signals intelligence satellite. The year’s other Delta IV launches carried the NOAA’s GOES-14 weather satellite and the WGS-3 military communications satellite, using the Medium+(4,2) and Medium+(5,4) configurations respectively. The eight Delta II launches deployed the NOAA-19 weather satellite, three STSS missile tracking satellites – two of which flew aboard the same rocket, two GPS satellites, the WorldView-2 commercial imaging spacecraft and NASA’s Kepler and WISE space telescopes. The second STSS launch, in September 2009, marked the final Delta II launch for the US military. Atlas V launches that year deployed the WGS-2 communications satellite for the US Air Force, NASA’s Lunar Reconnaissance Orbiter, the mysterious PAN communications satellite for an unspecified agency of the US Government, a DMSP weather satellite for the Air Force, and finally the commercial Intelsat 14 communications satellite for Intelsat. 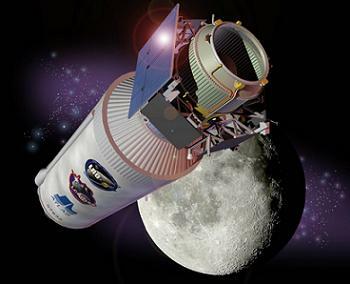 The LRO launch also carried the LCROSS experiment, which saw the vehicle’s Centaur upper stage impact the moon to vaporise material which could then be sensed by the LCROSS spacecraft, which separated from the Centaur shortly before impact. This mission was a success. In 2010, ULA’s Atlas V launched the SDO solar research satellite for NASA, the first X-37B spaceplane and first AEHF communications satellite for the US Air Force and the NROL-41 payload for the National Reconnaissance Office. A Topaz (FIA) radar imaging satellite, NROL-41 was placed into a retrograde orbit by an Atlas V 501 flying from Vandenberg. The year’s Delta IV launches orbited the GOES-15 weather satellite, the first GPS IIF navigation satellite, and an Orion SIGINT satellite, NROL-32, for the National Reconnaissance Office. 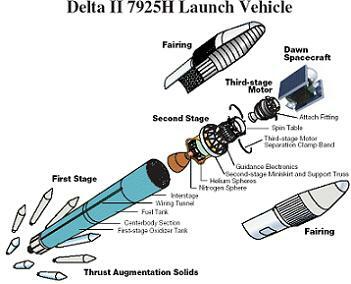 Only one Delta II was launched, a commercial mission with the fourth and final COSMO-SkyMed satellite, as the Delta II program began to wind down. ULA’s eleven launches in 2011 began with the first Delta IV Heavy launch from Vandenberg carrying NROL-49, an Enhanced Crystal (KH-11) optical imaging satellite. Two more Delta IV launches later in the year orbited a Quasar communications satellite, NROL-27, and a GPS satellite. Three Delta II launches were made, with Argentina’s SAC-D research satellite, NASA’s GRAIL mission to the Moon, and the NOAA’s Suomi NPP weather satellite. The NPP launch also carried six CubeSats – the first to fly aboard a ULA rocket. The NPP launch is the most recent flight of a Delta II, which had at that point flown out its entire launch manifest. Atlas, meanwhile, was used to orbit a second X-37B, a pair of Intruder satellites (NROL-34) for the NRO, the first SBIRS-GEO missile detection satellite and NASA’s Juno and Curiosity missions to Jupiter and Mars respectively. The SBIRS launch was the fiftieth to be conducted by ULA, occurring on 7 May 2011 from Cape Canaveral by means of the Atlas V 401 configuration. 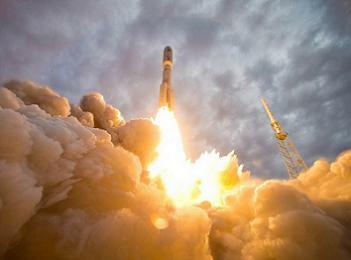 In 2012, ULA launched only EELVs, with four Delta IVs and six Atlas Vs riding to orbit. The Delta IV launches carried a WGS communications satellite and a GPS navigation satellite for the US Air Force and the NROL-25 and NROL-15 payloads – Topaz and Orion spacecraft respectively – for the National Reconnaissance Office. Atlas launches deployed a MUOS communications satellite for the US Navy, an AEHF communications satellite and an X-37B for the Air Force, NROL-38 and NROL-36 (Quasar and Intruder) for the NRO, and NASA’s Radiation Belt Storm Probes which have since been renamed the Van Allen Probes. For 2013, launches included Atlas V’s lofting of NASA’s TDRS-K communications satellite from Cape Canaveral, with another Atlas launch from Vandenberg with Landsat 8. Further Atlas launches in March and May deployed SBIRS-GEO and GPS satellites respectively. 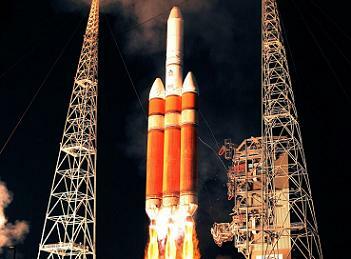 Later in May the first Delta IV launch of the year carried the fifth Wideband Global Satcom spacecraft into orbit. 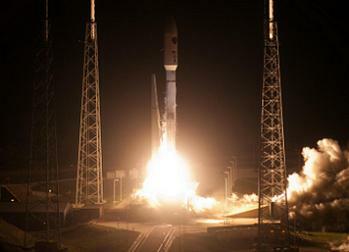 The most recent Atlas launch occurred on 19 July, with an Atlas V 551 deploying the MUOS-2 for the US Navy. Since then, ULA has launched two Delta IVs; the first in early August carried another WGS satellite, while later in the month a Delta IV Heavy flew from Vandenberg with an Enhanced Crystal satellite, NROL-65 or USA-245, for the NRO. 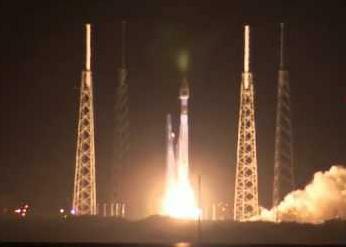 AEHF-3 was the ninth ULA launch of 2013, and the sixth to use an Atlas V – and notably the 75th ULA mission. “The successful launch was the 75th since ULA was formed nearly seven years ago, the 40th Atlas V mission, and the fourth ULA launch in the last two months,” added Jim Sponnick, ULA vice president, Atlas and Delta Programs. ULA is expected to conduct three more launches by the end of the year, with October involving a Delta IV launch with a GPS navigation satellite for the US Air Force, followed the next month by an Atlas V launching a flagship mission for NASA, setting sail with the Mars-bound MAVEN spacecraft. A December Atlas launch from Vandenberg will carry NROL-39 for the National Reconnaissance Office – which is expected to be a Topaz radar imaging bird. While ULA’s near-term manifest takes shape, the company continues to be deeply involved with two Commercial Crew suitors. The Atlas V was selected as the launch vehicle of choice for both Sierra Nevada Corporation’s Dream Chaser spaceplane and Boeing’s CST-100 capsule. ULA’s main development drive related to the implementation of an Emergency Detection System (EDS), a system ULA worked on under a Space Act Agreement (SAA) with NASA. The goal of human rating the Atlas V would allow the rocket to return to one of its early roles, with its rich history ranging back to the early days of US space flight. It was an Atlas booster that launched John Glenn into space inside Friendship 7 in 1962, sending the first American into orbit around the planet. The chances of seeing an Atlas rocket once against lofting humans into space is at the mercy of a NASA Commercial Crew Program (CCP) down-select decision – likely to take place next year – although 2014 will see one of ULA’s fleet – the Delta IV-H – carry NASA’s next exploration spacecraft, the Orion, on its first uncrewed test flight during Exploration Flight Test -1 (EFT-1). That launch vehicle is currently being manufactured at ULA’s Decatur plan in Alabama, ahead of shipping to Florida next March. (Images via ULA, NASA and L2).